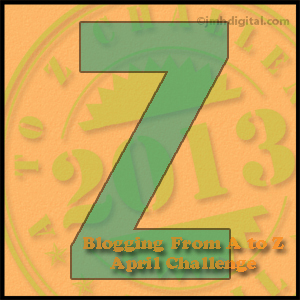 I can’t believe we’ve reached the end of the alphabetic blogging challenge already. April blew by so fast, though I tell ya, my digits can feel every last typed letter. Sometimes, handwritten. Also, there may have been tears. More like weeping, but I digress. Not only did I blog all of April, I wrote the better part of two novels, as well. I say better part because the stories are taking me on a ride that it will be some time before I type the words THE END on either of them. Good news, though, I met my writing goals for the month. That alone is an accomplishment to be proud of. What does this have to do with Ze Frank, you ask? Or maybe you didn’t. Maybe you just thought, way to finish the alphabet, Tonette. 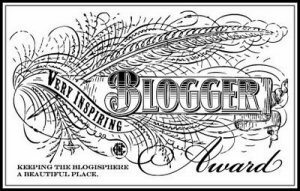 There is a link between Ze Frank, the man, the end of this blogging challenge, and my writing journey. First of all, I love his vlogs and everything he’s got going on his site. I’m a fan of his infotaining TED Talks. The vid I’d like to share with you today is important. Don’t be fooled by the title. I didn’t have some of the crazy kool-aid. And I’m not trying to be ironic. Here, why don’t you watch it before I explain further. In case you haven’t already seen this piece of awesomeness, please know that there is strong language ahead. Viewer/listener discretion is advised… but it’s so worth it. This is the end of my April Challenges, yet I feel like I’m just getting started. Ze Frank’s Invocation for Beginnings helps bring everything full circle. I challenged myself to be more awesome. 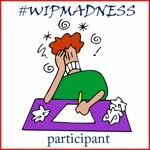 I took on a write-a-palooza that would make a normal person wince. However, in my quest for awesomeness, I have determined that normal isn’t in the cards for me or anyone who chooses the path of creativity. Thirty days later, I’m excited, exhausted, happy, humbled, and hungry for more. More punishment? The delicious masochism of my writing journey keeps me on my toes. I don’t want to place unrealistic goals on myself but I want to stretch the limits of my abilities and my wild imaginings. If the only person holding me back is me and I have the power over what comes next, then the only way is forward. I am the captain of my fate, the master of my soul. But I have miles to go before I sleep and with every step taken, I rage against the dying of the light. This isn’t the end but only the beginning. A new challenge or opportunity, the start of the next stage in my writing journey. What’s next for me? Tomorrow is the Mid-Week Check-In for Round of Words in 80 Days. New month, some new goals, some continuous, all in forward motion. Thanks for joining me this month. I hope to see you next month and beyond. There is so much to do, so much to write, and I can’t wait. This entry was posted in Blogging A to Z Challenge, Camp NaNoWriMo, Savvy Authors Boot Camp and tagged An Invocation of Beginnings, be more awesome, lessons learned, writing inspiration, writing journey, Ze Frank. Bookmark the permalink.